The RZR XP® 1000 sets the benchmark for Xtreme Performance on all terrain, but the High Lifter Edition delivers added capability to play in the mud. Specially engineered from the inside out, the High Lifter Edition is designed to let you dominate the mud holes all day long. 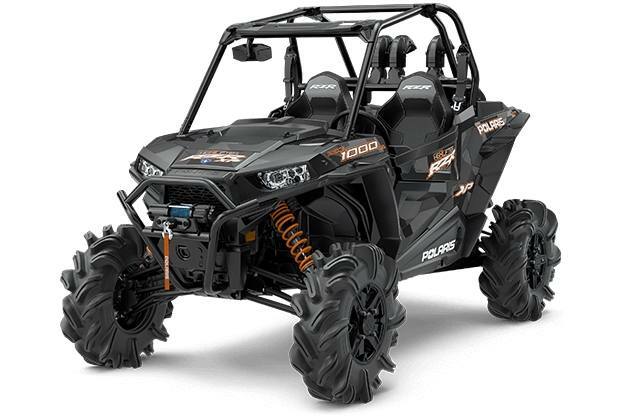 Off-road performance starts with power, and the RZR XP 1000 delivers 110 horses of it at 8,000 RPM with the proven ProStar® 1000 H.O. engine. The heart of this RZR delivers torque — up to 71 lb-ft of it — as soon as you step on the gas for nearly instant power in the mud. High mounted intake system keeps the water out. 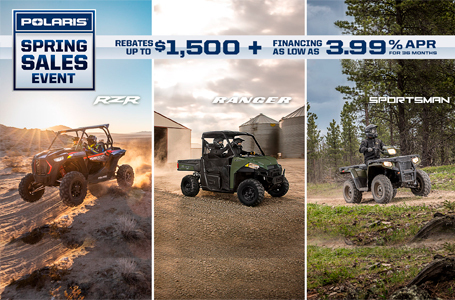 All of that Power and Suspension demands agile handling, and the RZR XP 1000 High Lifter Edition delivers with the fastest engaging AWD in the industry. The High Lifter Edition comes standard with premium accessories straight from the factory, but you can take the party in the mud to another level with the S10-L Extreme Audio Roof - by MB Quart®.